You guys! There’s still time to order gifts in time for Christmas! I wanted to round up some of my favorite items available to buy through Amazon Prime, shipping in time for the big day. 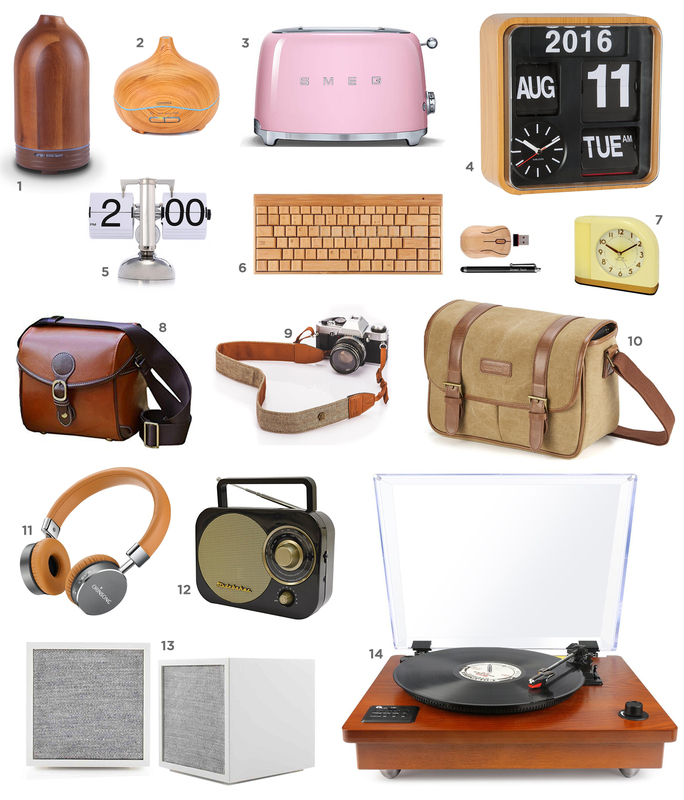 These are all vintage-inspired items (shocking, I know!) that will work for the male and female in your life. It’s a little mix of unique finds for the techy designer, oil-obsessed, amateur photographer, and for the radio and music lover in your life. Oh, and toast-lover too! I somehow fit into all of these categories. Maybe you’ll find something perfect for finishing off your shopping list? In an age of mass production and casual consumerism, it’s easy to go overboard with gift-giving at Christmastime. Not only can toy-loaded Christmases wreak havoc on your home’s organizational system, but they can lead to unhealthy consumer habits for children. Moms these days talk a lot about how to combat the influx of cheap-o birthday and holiday gifts, and I’m always interested in hearing everyone’s methods. Some of my friends ask their children to select some of their toys to donate every Christmas, while others simply wait ’till bedtime and thoughtfully decide which of their children’s toys stay and which ones go. I have mixed opinions on both of these methods, and I feel that neither of them help with the psychological habits of wanting new things and discarding old things. It’s becomes a consumeristic reflex that I personally struggle with, from having grown-up in an era of Saturday morning cartoons and all of the commercials that accompanied them. And I desperately want to protect my children from the same fate. Obviously the best way to combat the mass consumerism of Christmas, and the resulting toy explosion in your home, is to limit gift-giving to begin with. This is actually very difficult when loving family members want to give children lots of toys, telling parents that they should remember kiddos are only little once, and gift-giving should be more about what the children want than what the parents want. But the problem with this is that while coming from a loving perspective, it’s disrespectful to the parenting choices of moms and dads and also implies that children know what’s best for their psychological development, which in my opinion simply isn’t true. I’ve tip-toed and misstepped through the past five years as I’ve tried to thoughtfully advise family how to give gifts to my children. I don’t want my home filled with junk, I don’t want my children to develop bad habits regarding consumerism, but I also don’t want to be a super-controlling mom or an offensive daughter-in-law. I’ve watched in awe as friends have asked their parents and in-laws to only give each child one gift, ultimately revising that rule when the one gift turned out to be quite lavish. One of these friends perspective was that she and her husband wanted their children to focus on Jesus at Christmas, not on what gifts they’ll receive. They have similar concerns to mine about raising children in a consumeristic society, but they also have more children than I do, so the amount of toys in their home can quickly get out of control. They dealt with disgruntled parents initially, but since over the past couple of years, their family has settled into a new normal of what is expected from gift-giving at Christmastime. I think the important thing in navigating gift-giving expectations in a family is to openly communicate about your concerns so that the people involved can understand your motives and be on your team. I’m worried that I offended my mother-in-law by suggesting gift ideas for Lucy when she was smaller. I had other family members ask for suggestions, so I made a list on Amazon, and sent it to everyone with a note that said something like, “If you’re unsure of what to get Lucy this year, here are some things I think she would enjoy.” Lucy was two at the time, so she had no concept of making a Christmas list, but the following year when she was three, I sensed that the impression I was giving Phil’s parents was that I was trying to control my children’s toy collection to fit my own personal taste. (Nobody came out and said anything to that effect, it was just an impression I felt.) 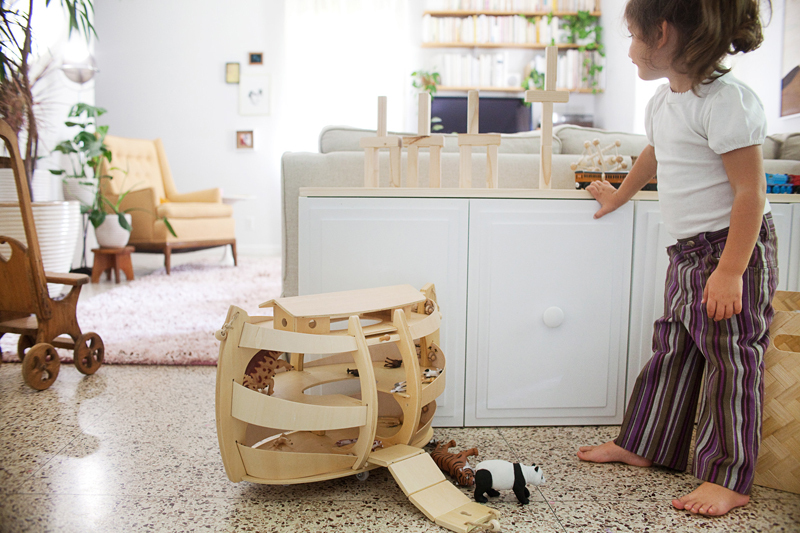 An element of that is true— I do want to control my children’s toy situation to an extent. But I don’t think it’s wrong to want nice-looking high quality toys for your children in lieu of discount store plastic do-dads. I think about what toys I have kept from my childhood that still send a rush of pleasant memories and a vivid recollection of ways I developed my mind through imaginative play and developed my interest in learning about history and different cultures. These toys from my childhood were Sylvanian Families (now Calico Critters), wooden blocks, paper dolls from historic eras, the light-up tracing board my dad made for me to design costumes for my paper dolls, Prismacolor pencils, and all things American Girl (I was given Felicity and did work for family to earn money to buy Kirsten and Addy). Those are the toys that stand out in my memories, and rather than collecting lots of random things I saw in commercials and at the toy store, I preferred to stick to the toys I loved the best and expand my collection to make playing with them more interesting. I think this was something I learned from my cousins, who had excellent attention spans and great parents guiding their learning and playing. So every birthday and holiday I asked for something to add to a particular collection of toys, whether it was Sylvanians, American Girl clothes, or art supplies. Heck, I even had lots of books on my wish list as a kid! I’m not saying my childhood should be the prototype, and I want my children’s experience to be exactly the same, but there are certainly elements I’ve distinguished as ideal, and it would be foolish of me not to want the same for my children. All of that being said, we love to give gifts, but we have focused on quality instead of quantity. I’ve stopped giving gift suggestions to family unless they specifically ask me (and they often do), but it can be awkward to suggest items that are pricier than the junk you can find at big box stores. If someone wants to take Lucy to the toy store, I always recommend a local store in North Canton called Toy Kingdom. This store in particular stocks high quality items and difficult to find brands like Playmobil, Plan Toys, Calico Critters, and many more. It’s always a good thing to support local businesses, but I also enjoy shopping online, so I keep a link list handy in case someone wants to shop that way as well. 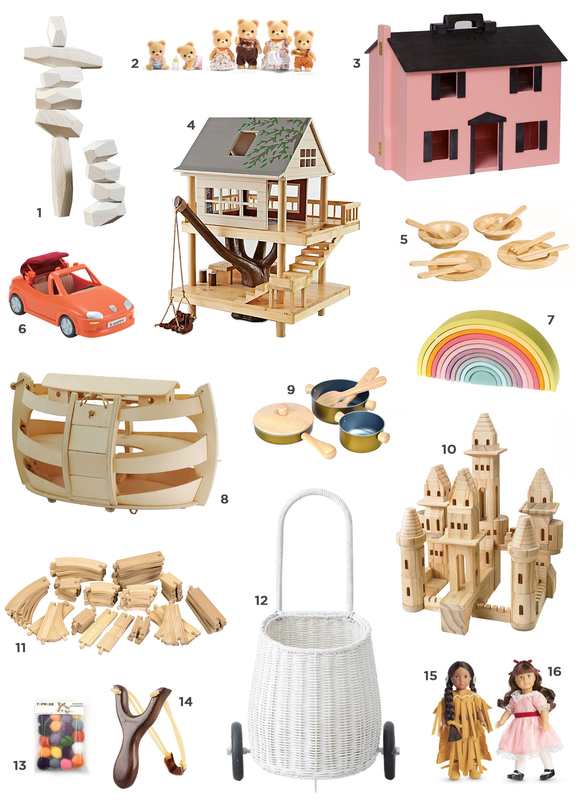 This year I am making Lucy and Juniper a more child-friendly dollhouse type of toy (I’ll share that project in a week or two! ), some well-made vintage Strombecker furniture (in a larger scale than the dollhouse I made, which is currently in storage until Juniper is older) as well as a couple of mini American Girl dolls to introduce them to the world of historic American Girls. The list at the top of this post includes some toys we have given the girls in the past that they love playing with (like the train track, wooden ark, Calico Critters families and convertible, and wooden kitchen toys), but I’ve also included some high-quality items that the girls will be getting this year as well as other things I quite like and am saving as ideas for future Christmases. What’s your Christmas gift-giving strategy? Do you ask your family to limit what they give your children, and have you ever asked that family give experiences rather than gifts? We have that in mind for next year, actually! Much like enamel pins for your denim jacket, I believe coffee table books can be a great way to inject some of your specific personality to a basic, functional piece of furniture. Lately I’ve stocked up our new coffee table with some stacks of books and favorite magazine issues, making sure there’s still room for coffee, tv remotes, and other doodads that need a resting place during movie nights. 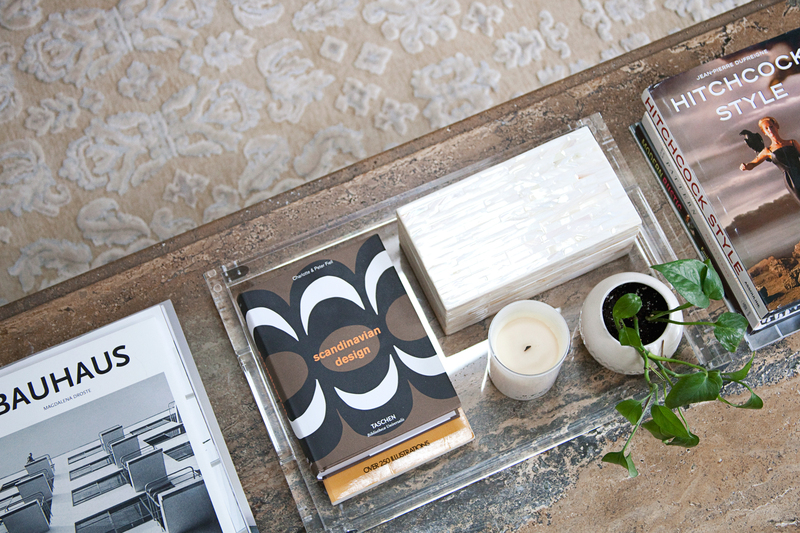 The key to accessorizing the coffee table find that perfect balance— adding interest, but not creating clutter. 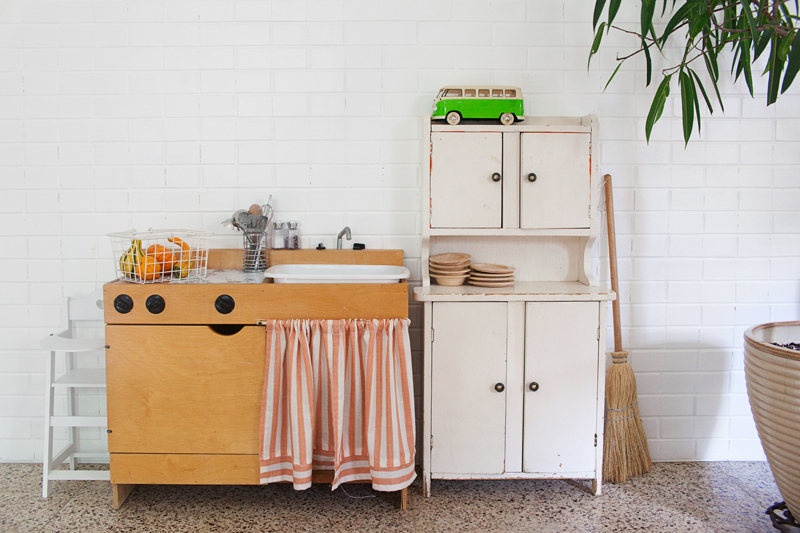 Of course, everyone has his or her own opinion on what is clutter and what is not, so that’s up to you! For me, I’ve tried to be the kind of person who enjoys a minimal home, but recently I’ve come to the conclusion that I just like to be surrounded by stuff I love! Not lots of stuff, mind you, and the stuff that’s on display should be organized nicely and presented in a balanced way. But gosh I just love decorating little piles or arrangements of things that enrich our home and infuse it with our personality. I’m always cycling books and magazines through from our bookshelves (or in our current case, moving boxes) to the coffee table, to other areas of the home. Gotta keep things feeling fresh for each season! I recently added a few new books to my collection, and wanted to share them with you, plus some old favorites. If a book gets to chill on my coffee table, it needs to be something that I actually want to leaf through when I’m lounging by myself or with friends. 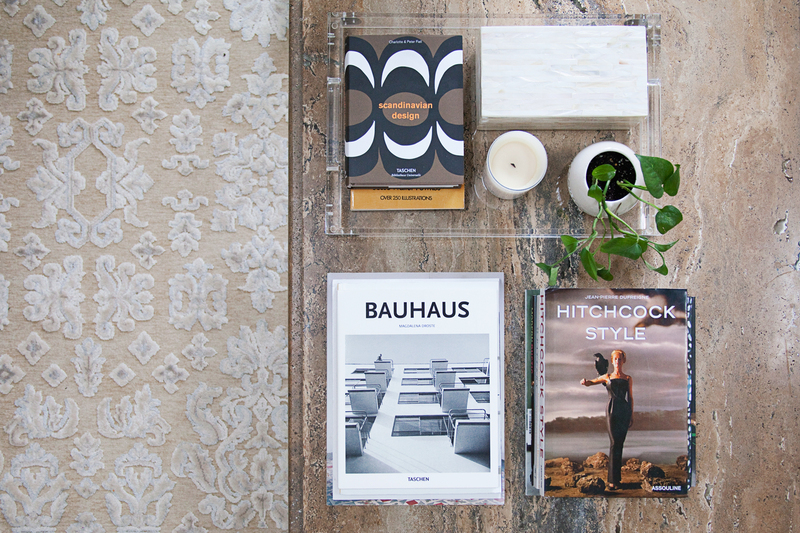 When I’m entertaining or hosting, it’s nice to have a variety of subjects on the coffee table so guests can find something to enjoy as well. 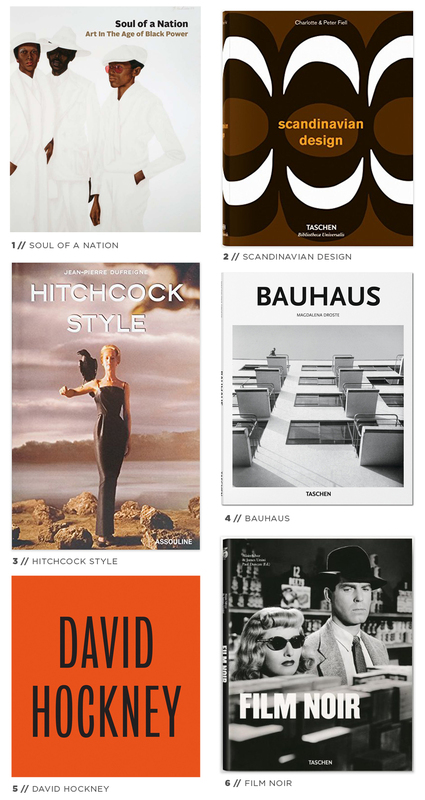 Here are my current favorite art and design books that serve as great decoration, conversation starters, and little clues as to what reigns supreme in the mind of Mandi. 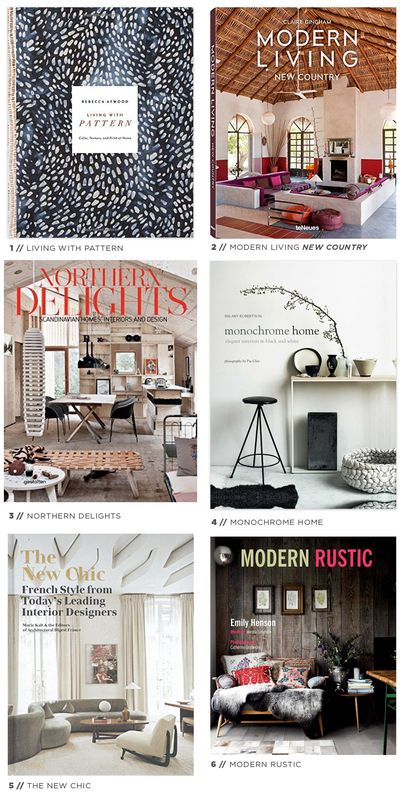 These days, it’s easy to hop on Pinterest at any time and be bombarded with loads of home decor inspiration. But there’s something so special about being able to hold a beautiful book in your hands, especially one as wonderfully styled and curated as these! I know you’ll love them as much as I do, and they’ll also give you a glimpse into the styles that have influenced our new home.